Install your Haier 5000 BTU air conditioning unit using the provided installation kit. This particular air conditioner is designed to fit inside a single- or double-hung sash window frame. The adjustable mounting louvers or curtains will fill in any gaps between the window frame and air conditioner. This prevents bugs, dirt or dust from coming inside. 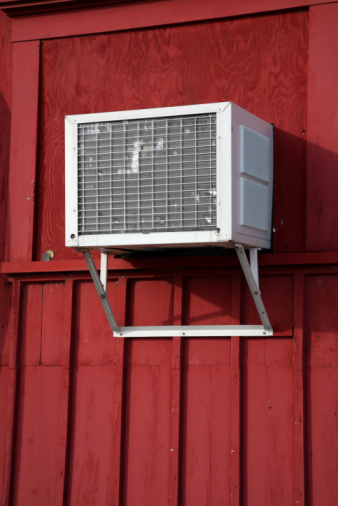 Plug in the air conditioner after it's been installed to cool off your room. This unit features two cool settings, along with two fan settings, and can be programmed to run on a 24-hour timer. The Haier 5000 BTU is a portable room air conditioner. Screw in three 13/32-inch short screws into the top rail. Insert adjustable curtains into both sides of the air conditioner. Make sure the top and bottom rails line up so the curtains slide right onto the unit. Screw eight 13/32-inch short screws into the sides of the unit, securing the curtains to the unit. Open the window and remove the screen if there is one. Screw the basepan angle behind on the outside of the window (behind the inner window sill) with two short 13/32-inch screws. This will help hold the air conditioner in place. 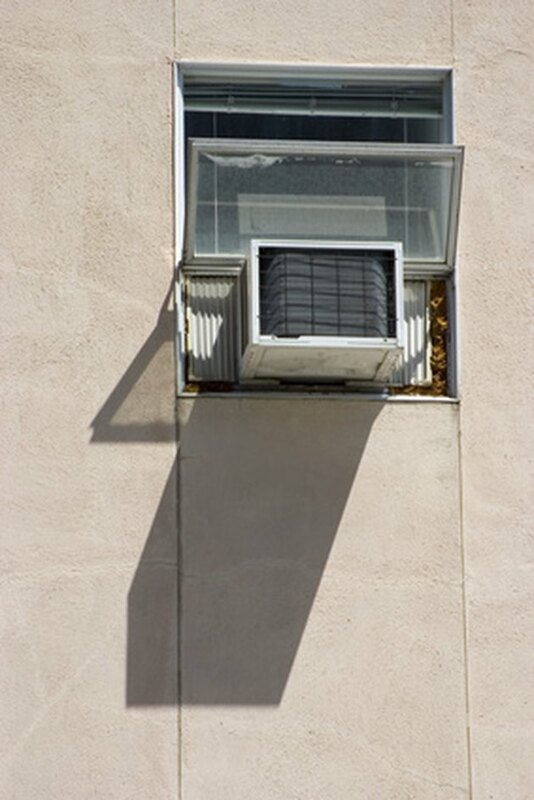 Lift and slide the air conditioner into the window. The base of the unit should drop into the basepan angle. The air conditioner should be steady. Pull down on the window sash until the base of the sash rests on the top of the air conditioner. Pull both sides of the curtains close and screw two 31/32-inch wood screws into each side of the curtain into the window frame. Measure and cut the seal gasket to fit the width of the window. 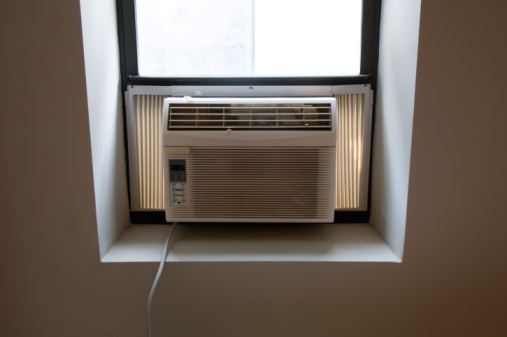 Place the gasket between the window's glass and the air conditioner. This will seal any gaps and prevent insects from coming into the room.